HOW could you give the baby away? Becoming pregnant, life blossoming inside of you, hearts beating together, growing bigger - together. How could you then give it away? "Easy," says surrogate Melissa Holman. "I'm not giving the baby away. It was always hers [the intended mother]. I am just giving it back." 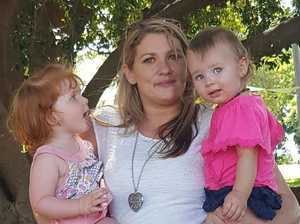 This remarkable Queensland mum has been a surrogate twice - making Mother's Day possible for two desperate women. Melissa said witnessing the love between the mothers and newborns were defining moments in life. >> READ: Sister-in-law's gift: "I'll carry your baby for you"
"The baby is born. The mother is cutting the cord and then they wrap the baby up and give it to her. "She is sitting beside me in a chair, cuddling her baby skin-to-skin. It is beautiful to watch and the look of love she gives this baby is nothing I have ever seen. "And I think: 'wow, I got to be involved in this'." And we think wow, how amazing is this woman because many won't consider being a surrogate because they 'wouldn't be able to give the baby away'. But Melissa said it not like this. "I can only speak from my own experiences but it is not the same as giving up a baby. Some liken it as adoption but it's not like that either. "From the beginning it is always their baby." Melissa also said as a surrogate her connection is with the parents, not the child. "Instead of connecting with the child I used to look at the mum and see how much they really want this." "You get to know these women as close friends. "You get to see their strength, resilience and desperation." This is how Melissa first became a surrogate. "When I first heard about surrogacy I thought I couldn't do that and I didn't consider it at all until a lady I was going to be an egg donor for told me she'd found out she was pregnant. "She had already had all these miscarriages and other health issues. We were so excited. "And then she lost the pregnancy. "Her whole world was falling down and her resilience and strength amazed me. "And then she was told she could not carry a baby because she could die. "She needed a surrogate. I'd offered and suddenly I was needed." Melissa said from there the first steps were legal and counselling. "We had individual and group counselling then psych testing before seeing separate lawyers for legal advice. "Then I had to go through some checks with a doctor to make sure everything was medically okay." After that they embarked on the IVF. "We did two cycles with her eggs and got a few embryos. "Then we did a cycle with an egg donor and that got a few embryos. "We did a transfer and I fell pregnant but nine weeks later I miscarried and had to have a D&C. "I then miscarried again at five and seven weeks and had to have another D&C. I was exhausted by then because I'd been pregnant for six months but had no baby to show for it. "Emotionally it gave me a really good case to be on the other side of the fence. It was emotionally hard. "My friends would say to me 'when is enough, enough'? And I'd say 'when I say it is enough'. "But she was such a good friend I just had to keep trying. "So I said let's try one of my eggs." Mel fell pregnant again. And it stuck. "We saw an obstetrician by eight weeks and did the dating scan. Then saw the obstetrician once a month. "Because she [the intended mother] lived in another state she came for the big appointments but for all the others I took my iPad and Facetimed her. She could talk to me, to the doctor and see the baby. "She played the husband role." Prior to the birth the intended mother came and stayed with Mel. "She was there for the birth. She had been staying with me for a few weeks. "We went in and had an induction. "That night I went to bed and she took the baby and looked after it. She'd come in and I'd express milk. "It never felt like I gave the baby over it was always her baby." In January Melissa gave birth to another beautiful baby - this time a little boy - and happily gave him over to his mother. "He was perfect- a screaming newborn mess, lifted off my stomach and put gently into his mother's loving arms. "Those arms were not mine. She's next to me in this picture," Melissa wrote on a post that quickly went viral. "A friend introduced me to them [this couple]. "They'd been talking and my friend asked me if I wanted to be a surrogate again and I said hell no. "But then I met them and saw the heartache they were going through. "In the meantime I met my fiancé and I bombarded him with my life and what I do and he was really supportive so I went ahead and said yes. "They already had embryos so it seemed to be a lot easier than the first journey." 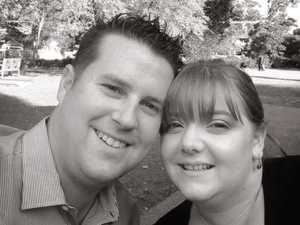 Melissa said although it is hard at times, being a surrogate is one of the best things. "People say I must love being pregnant but I hate being pregnant. "And it's odd when that clucky sensation sets in and you don't have to do anything. "But with huge risks comes huge rewards." While she has no plans to be a surrogate again just yet, Melissa said "never say never". "There are a couple of girls from our egg donor group who aren't having luck. And there is one friend, who has been a friend for quite a while. If she doesn't have any luck I will probably help her. "But at the moment, my focus is on finishing my degree and looking after my family." The 34-year-old is a mum to three: her 13-year-old and nine-year-old daughters and nine-year-old step-son. A nurse by trade, Melissa is also currently studying to become a midwife. "I've always been a huge advocate for women's health and if I can help but the babies in there, I can help get them out. "For me midwifery is a natural follow on from nursing and it has been a passion for a while." On top of everything else she does - for everyone else - Melissa is also runs a number of support groups. One of those is for surrogates. "We have a group with about 150 surrogates and about 60 people looking for surrogates. "People are going to wait a very long time for a surrogate unless they are very lucky. "The current legal system on surrogacy is outdated." She also said there is no such thing as one size fits all when it comes to surrogacy. "People ask how much surrogacy costs and there is no black and white. "There are lots of factors such as public vs private, whether the surrogate is working, whether the intended parents already have embryos and whether they have to have one transfer or five. "Some lawyers are reasonable others charge like a winded bull then there is Medicare rebates - if you do IVF or egg donation you get rebates if you do surrogacy you can't. "It is all a bit cheaper than overseas but slowly they are shutting down shop and it is a huge risk. There are only a few options left - Ukraine, USA has more legal guidelines, Canada but they are still an altruistic and pay the surrogate the compensated amount - it still adds up and can be fairly high cost." 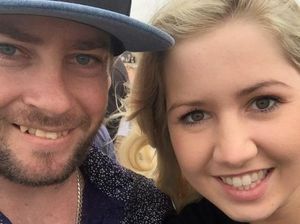 I first spoke to Melissa in the wake of my story on the couple looking for a surrogate after 17 rounds of failed IVF and more than $100,000 out-of-pocket. "For them to step-out and put themselves out there they're very brave," Melissa said about the couple. The couple, John and Hannah* reached out to me after learning their only chance of becoming parents is through surrogacy. I offered to help tell their story. And I am pleased to report they have received several genuine offers. "If it wasn't for you and you coming with the idea of the article I wouldn't have got this far," Hannah said when I spoke to her recently. "So many women have reached out to me. "I've spoken to a couple on the phone and I'm still trying to email back a lot of women who offered support. "It's all quite overwhelming. I knew it would be in-depth but not like this," Hannah said. While they weigh up their options, Hannah said it is the "beautiful women" who have reached out to her that keep pushing her along. "There is some good, good people out there and on the days I feel like I can't cope anymore I think of these people who have reached out to me and it pushes me along to finish my journey." I will continue to provide updates on John and Hannah's journey.